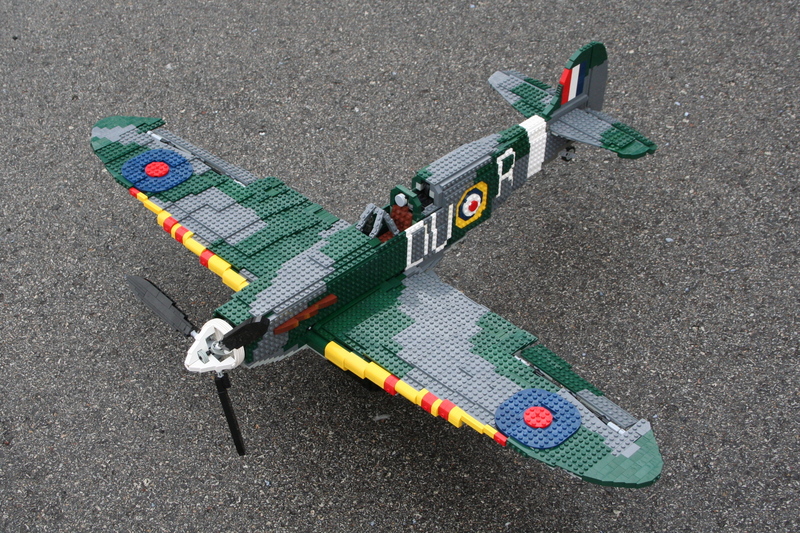 It is the second time I highlight a model from Kyle (Thirdwigg) in a short period of time, but I saw this Spitfire Mk IIa model when it was published today and immediately though I might feature this (despite I had plans for something else that eventually will make it next week). After a long period of work and parts gathering he made a 1:12 scale functional version of this mythic single-seat fighter aircraft from WWII. There is also a rechargeable PF Battery Box and one IR Receiver placed behind the cockpit, as well as several mini Linear Actuators used to control the landing gear and the pitch from propeller blades. You may find a complete description of the Thirdwigg's Spitfire building process and functions at Thirdwigg.com, and also the full set of pictures at the author's Brickshelf folder, where you may also see some nice pictures of the work in progress. And so we take our flight into 2013! Pretty cool model, thanks for posting! Thanks again for the post. I am humbled by the encouragement I have received for this MOC.